A blast from the past. I just came across this one as I was searching for something else in my archives. 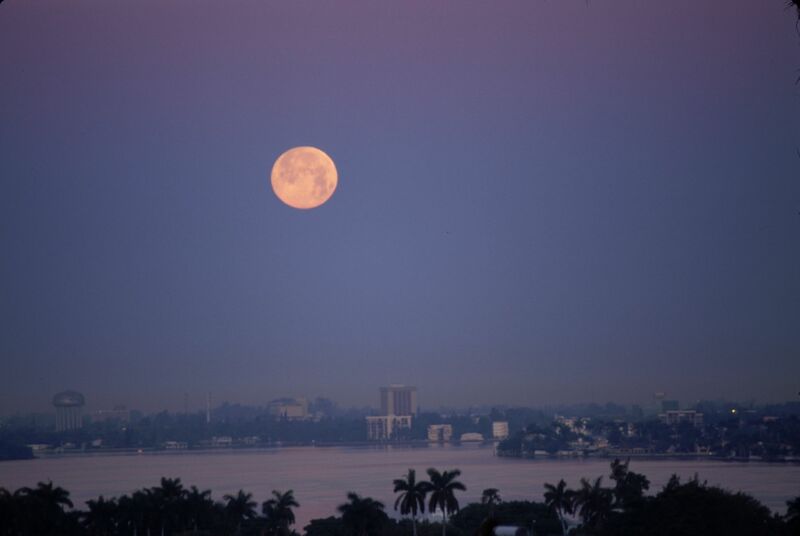 Shot at dawn from Miami Beach, looking west, towards Miami. I used a long lens to compress the perspective. This is a slide that I later scanned into the computer.